Experience all the Collective has to offer. Planning a trip? Use this guide to maximize your winter fun and help get the most out of your Collective pass. The different chapters of our secret society await your arrival. The Order of the True North chapter offers you six days of inviting fresh powder across three destinations. Fly in through Kelowna International Airport and head to Revelstoke, the newest Canadian ski resort, which has the highest vertical totals in North America – an astonishing 5,620 feet! That means more skiable distance from peak to base. Only 141 miles away, Lake Louise is a breathtaking resort with its panoramic views and high-alpine glaciers. It holds the record for the longest ski season in Canada and is only 35 miles away from Banff Sunshine, which is the last stop on this adventure, offering double-black pitches and some of the most extreme runs on its iconic Goat’s Eye Mountain. Stay close by in the historic town of Banff while visiting to make the most of your adventure. When you’re ready to head home, make the short 1.5 hour drive Calgary International Airport. The League of West Coast – Best Coast chapter offers you a long-weekend getaway with legendary skiing in California. Squaw Valley/Alpine Meadows near Lake Tahoe gives you the ultimate winter experience offering diverse terrain choices across two legendary mountains. Only 182 miles away and with an elevation of 11,053 feet, Mammoth is California’s highest summit and boasts some of the deepest, high-quality snow in North America along with beautiful views and a season that can last until July – making this resort the reputation of California’s real big mountain skiing/riding experience each and every season. The Mountain-time Madness chapter offers you up to five days of lore and legend of the Old West. Your adventure begins at the spectacular resort in the Bridger Teton National Forest, Jackson Hole. Delivering legendary powder snow, 4,139 continuous vertical feet, 2500 acres of the best beginner, intermediate and expert skiing and snowboarding and a genuine “Last of the Old West” atmosphere. From there, head north to endless terrain at Big Sky, with four mountains connected by trails and lifts. This gem of the Northern Rockies delivers an average of two acres per skier – so leave behind the crowds and feel like you own the slopes under iconic big skies. The New England chapter presents Sugarbush, a remarkable four-season destination just 50 minutes south of Burlington’s International Airport. With 111 trails and an additional 28 wooded areas divided between two mountain areas, -- Mt. Ellen and Lincoln Peak – you’ll find 4,000 acres of pristine on-and-off-piste New England terrain to explore, including learning areas, long cruisers, steeps, bumps, glades and terrain parks. Lessons and clinics taught by accomplished staff, and lodging onsite at Clay brook Hotel & Residences, Sugarbush Inn and Resort Condominiums. The Ritual of the Rockies chapter brings you a getaway to two world-renowned resorts. Our adventure begins at Aspen Snowmass, which greets you with infinite possibilities – more than 5,500 acres of terrain on four mountains and the charming, artful town of Aspen to liven up your evenings. To the south, Taos Ski Valley has long been appreciated as an authentic, big mountain experience. From wide-open groomers and bowls to tree-lined glades, bumps and chutes with spectacular views of the Sangre de Cristo mountain range. Guests will enjoy world class terrain, events, newly renovated base area facilities, including The Blake Hotel, and a world-class ski school. The Order of the Wasatch Wonders chapter brings you two of Utah’s Greatest Snow on Earth® resorts. Snowbird makes same day skiing and flying a reality, located only 29 miles from Salt Lake City International Airport. Here you’ll find spectacular scenery and the longest season in Utah with 500 inches of average annual snowfall. Only a 7-minute drive away, Alta Ski Area has a philosophy for offering the most authentic ski experience. Founded in 1938, they have developed generations of skiers (only skiers please) who consistently call this Utah resort their special place. One of the reasons we can say – it’s always snowing in the Collective. The Down Under chapter offers late season skiing and snowboarding. Midway between Sydney and Melbourne is Australia’s best-known ski resort, Thredbo. Located in the heart of the Australian Alps, it has held Australia’s premier alpine destination for over 50 years. Thredbo boasts the country’s best snow terrain with Australia’s highest lifted point and the country’s longest runs. Voted the South Pacific’s Number One Destination by TripAdvisor, Coronet Peak + The Remarkables packs a huge punch and is hot on the travel bucket list. Coronet Peak, New Zealand’s premier ski area, is a 20-minute drive from the heart of Queenstown, offering skiers spectacular views, awesome terrain and incredible back bowls to challenge the most discerning skiers and riders. Across the valley, The Remarkables, located in the heart of Queenstown’s iconic Remarkable’s mountain range, is renowned for its friendly, relaxed atmosphere and is loved by families, freestylers, extreme skiers and boarders alike. The Chile chapter offers 7,000 acres of terrain to pass members. The Valle Nevado resort is just 80 minutes from the capital city Santiago, 9,800 feet high in the spectacular Andes Mountains. South America’s premier ski resort offers access to 7,000 acres of terrain and the most modern lift system in Chile. With easy-to-book, all-inclusive hotel packages and independent condominiums, guests can find a complete experience with shopping, six restaurants, a spa and fitness center, pub with live music, and the continent’s best heli-skiing. The Far Out, Far East Society chapter offers a vacation destination and some of the driest, lightest powder snow in the world. Niseko United is located on Japan’s northern island of Hokkaido, a 1.5-hour flight from Tokyo to Sapporo-Chitose, the region’s main airport. Niseko United is one of Japan’s premier ski resorts, with over 2,000 acres of skiable terrain split over four resorts. The French chapter offers a mecca for skiers and snowboarders. The Chamonix valley is legendary, unique and incomparable. It is a land crammed full of history and sporting feats, a natural environment that will take your breath away. Mythical areas like “les Grand-Montets” and the descent of “Vallee Blanche” provide a more advanced experience but there’s also plenty of terrain for intermediates and beginners. In Chamonix, no matter what your ability level, you fill find a safe environment to create your own history at your own pace. Get exclusive rates. Chase ideal conditions. Receive up to 25% off at some of the best hotels and condos at Mountain Collective destinations, black out dates apply. 2019-20 lodging discounts will be announced soon. The historic ski town of Banff offers everything from posh and pampered to retro and rustic. All surrounded by a vast, pristine and protected wilderness so breathtaking that it’s part of Canada’s first national park. SkiBig3 Vacation planners are here to help you find your perfect lodging in Banff or Lake Louise. The spectacular beauty of this valley nestled below Mont Blanc. The altitude and extent of the huge skiing area in the French Alps and the superb range of restaurants, bars and shops, and all so incredibly accessible with Chamonix only an hour’s drive from Geneva. Stunning chalets to die for, all in fabulous locations, whether fully serviced with a chef, driver and staff or independent lodgings. Collineige is pleased to offer a 15% reduction to Mountain Collective Passholders for most weeks, and 10% for peak weeks (restrictions apply). For full chalet bookings of a week or more, they offer you a day with a carefully chosen mountain guide to introduce you to the skiing in the area. Queenstown is a sophisticated town with a fantastic choice of restaurants, a lively bar scene and excellent shopping. A direct bus service to the ski areas operates from most major accommodations and an express service operates from the Snow Centre in the centre of town. Mountain Collective Pass holders can access some great savings on accommodations at The Heritage Hotel and Eichardt’s Private Hotel in Queenstown. Save up to 25% when you book your stay with Jackson Hole Resort Lodging. Use offer code JHRLMC19 when booking to receive this discount. Restrictions may apply. Visit jhrl.com to learn more and book. Enjoy up to 20% savings at all Mammoth Lodging Collection properties – The Village Lodge, Juniper Springs Lodge, Mammoth Mountain Inn and Tamarack Lodge. To book, just choose your dates of stay, pick your lodging property, then select the “passholder special savings” for your discounted rate. Mt Buller is still working on Mountain Collective lodging deals. Please check back in the summer. Vacation Niseko would like to offer 20% off on our most sought-after property, Niseko Landmark View, for all Mountain Collective Pass-holders. Whether you're visiting with a large group of family & friends or traveling solo, Sugarbush Resort has accommodations to suit your needs. As a resort guests you’ll receive complimentary access to the Sugarbush Health & Recreation Center. Call 1-800-537-8427 for more information. Stay tuned for lodging discounts at Valle Nevado for 2019 Mountain Collective passholders. Mountain Collective passholders receive benefits and discounts up to 20% at a number of lodging partners. This offer is exclusive to Mountain Collective members and is based on availability during the 2018/2019 winter season. Snowbasin discounts will not be available for the 2019-20 season. Sun Valley discounts will not be available for the 2019-20 season. Bring a printout of your purchase confirmation or present the message with voucher barcode on your smartphone along with a photo ID to any ticket window or season pass office. See below for pick up procedures at each destination. Bring your purchase confirmation email and a photo ID to Skier Services, located at Wildcat Base, or to the ski school office at Albion Base. Additional questions, please call the number below. Bring a printout of your purchase confirmation and a photo ID to any open ticket window at Snowmass, Aspen Mountain, Aspen Highlands or Buttermilk. Bring a printout of your purchase confirmation and photo ID to the season pass office at Banff Sunshine. Alternatively, you can visit the Banff Ski Hub at 119 Banff Avenue. After you use your included days, you will be eligible for a SkiBig3 direct-to-lift pass with access to Banff Sunshine, Lake Louise Ski Resort and Mt Norquay. These additional days will be charged at 50% off the one-day SkiBig3 Lift Ticket rate. Additional questions, call the number below. Bring a printout of your purchase confirmation along with a photo ID to the Mountain Services Office. All passholders will need to sign a waiver, and those under the age of 18 will need a parent or guardian present to sign. Passes can be picked up at the Mountain Services office, in the Snowcrest Building, at Big Sky Resort’s Mountain Village. Bring a printout of your purchase confirmation and a photo ID to any guest services location. 2019 passes can be picked up in May 2019 at The Snow Centre on Duke Street, Queenstown and at on mountain Guest Service counters from June 2018 onwards. Bring a printout of your purchase confirmation or present the message with voucher barcode on your smartphone along with a photo ID to the Season Pass Office. To expedite redemption, please click here and complete our online liability release waiver prior to your arrival. Bring a printout of your purchase confirmation and photo ID to the season pass office at Lake Louise. Alternatively, you can visit the Banff Ski Hub at 119 Banff Avenue. After you use your included days, you will be eligible for a SkiBig3 direct-to-lift pass with access to Banff Sunshine, Lake Louise Ski Resort and Mt Norquay. These additional days will be charged at 50% off the one-day SkiBig3 Lift Ticket rate. Additional questions, call the number below. Bring a printout of your purchase confirmation or present the message with voucher barcode and a photo ID to any ticket window at the following locations: Main Lodge, Canyon Lodge, Eagle Lodge and Mountain Center. Mt Buller is working on redemption instructions for 2019/20. Bring a printout of your purchase confirmation or present the message with voucher barcode along with a photo ID to Guest Services at the base of Revelstoke Mountain Resort. For more information, email info@revelstokemountainresort.com or call the number below. Bring a printout of your purchase confirmation or present the message with voucher barcode and a photo ID to the Season Pass Office, or any ticket window. Anyone under 18 will need to be accompanied by a guardian (to sign a release form). Additional questions please call the number below. Bring a printout of your purchase confirmation or present the message with voucher barcode along with a photo ID to the Season Pass Office. ALPINE MEADOWS: Bring a printout of your purchase confirmation or present the message with voucher barcode along with a photo ID to the Season Pass Office. For additional questions about Squaw Valley or Alpine Meadows, please call the number below. If you would like to have your pass mailed directly to you before your trip, please email your request to fulfillment@squaw.com. Bring a printout of your purchase confirmation and a photo ID to Thredbo Guest Services at Valley Terminal, Friday Flat or Jindabyne. For additional information about Thredbo Resort, go to thredbo.com.au or please call the number below. Thredbo winter season dates are: June 8, 2019 to October 7, 2019. In order to redeem your Mountain Collective Pass at Valle Nevado, simply go to the guest services office with your printed order confirmation and valid photo ID. Passholder ​deals at Valle Nevado are good for the calendar year from the Mountain Collective purchase date. Bring a printout of your purchase confirmation or present the message with voucher barcode along with a photo ID to the Activities Desk in Earl’s Lodge at Snowbasin Resort. If you would like to have your pass mailed directly to you before your trip, please email your request to tmc@snowbasin.com. Additional questions please call the number below. Snowbasin passes are valid for 2018/2019 season only. Please bring a printout of your purchase confirmation or present the message with voucher barcode on your smartphone along with a photo ID to the River Run Season Pass Office. 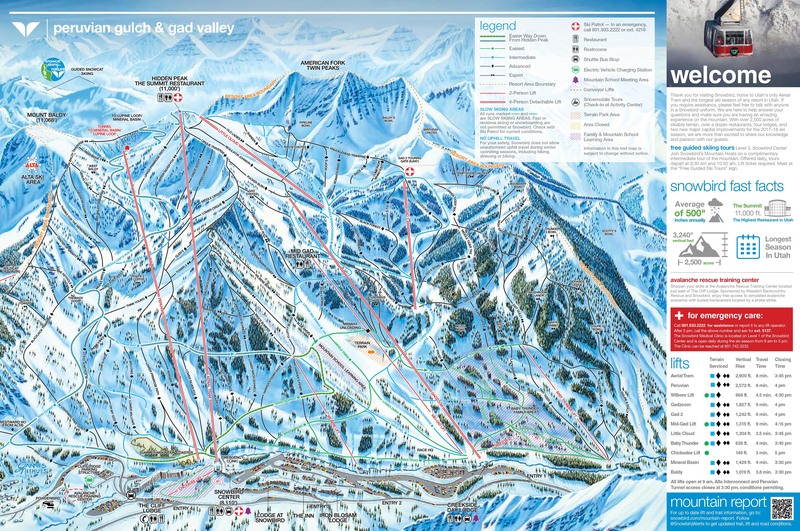 For more information email lifttickets@sunvalley.com or call the number below. Sun Valley passes are valid for 2018/2019 season only. What lodging deals are offered to Mountain Collective Pass holders? Mountain Collective Pass holders get exclusive access to great lodging deals at each of the Mountain Collective destinations. Check out which lodging properties offer deals. *Please note: Some lodging properties will have blackout dates, in which Mountain Collective Pass holders are not eligible for a discount. Please note that Ski Queenstown-Coronet Peak-The Remarkables does not offer lodging.